The internets say it's Prince Paul's birthday, so I want to give a big Happy Born Day salute to one of the greatest producers in hip-hop! 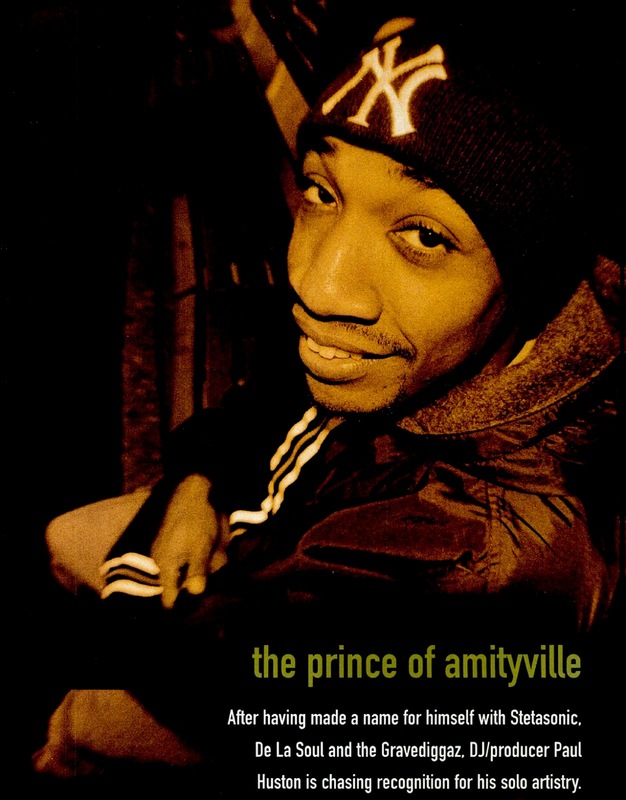 It can never be overstated what a genius Prince Paul is behind the boards, even if it's sometimes misunderstood or under-appreciated by the masses. Those who know, get it and for anyone to have success, there will always be insiders and outsiders. In the CMJ article above (March, 1999), "I never know if it's my time...' Paul says, and adds 'I don't know if it's one of those things that when I'm gone, it'll be like, 'Wow! This is really great,' or if it's that I'm wack or out of tune or whatever. With my stuff, people either love it or hate it. I've heard everything, from I'm a genius to I'm a punk." That's tough to feel as a creative, but I trust he knows he's made classics, has the respect of his peers & continues to contribute a great deal to this culture. 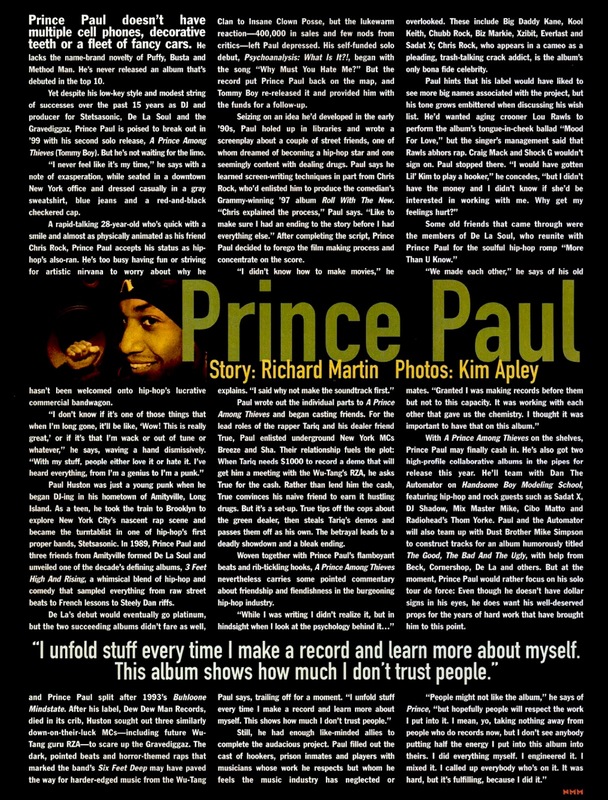 I've posted before and will continue to post and salute Prince Paul's career here on the site.